401. 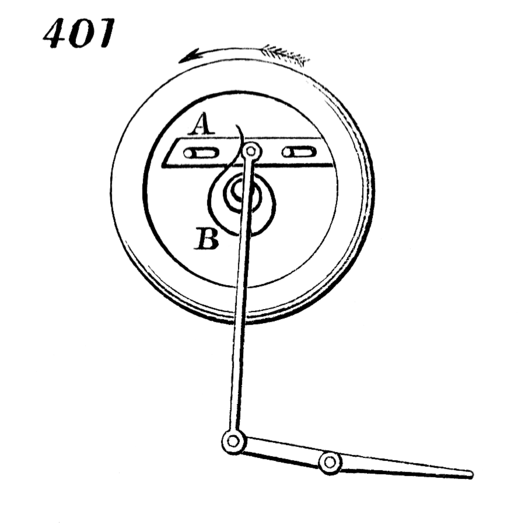 E. P. Brownell’s patent crank-motion to obviate dead-centers. The pressure on the treadle causes the slotted slide, A, to move forward with the wrist until the latter has passed the center, when the spring, B, forces the slide against the stops until it is again required to move forward.